This pewter kilt pin is cast in Glasgow, Scotland. 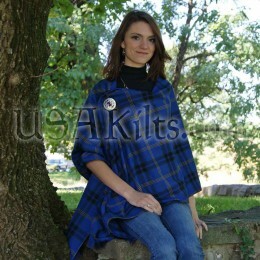 It perfectly compliments our Law Enforcement Tartan kilts. 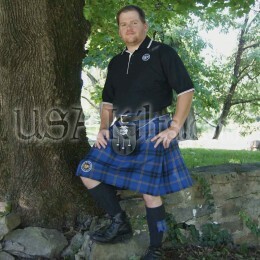 It would make a great gift for any kilt wearing law enforcement officer. It features a blue stone on a shield, mounted on a truncheon. The back of this pin has a pin lock with a secure clasp closure.